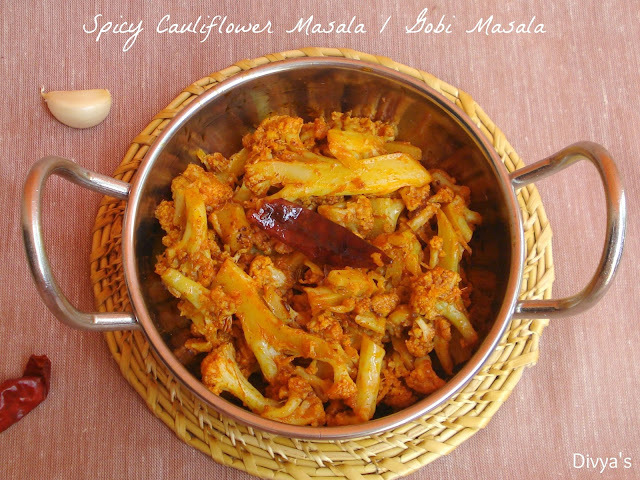 Spicy cauliflower masala serves as a good side-dish for sambar rice, rasam rice or curd rice. It also accompanies Chapatis and Rotis well. This is a dry version and is similar to stir fry recipes and tastes hot and delicious. You can alter spiciness according to your preference. 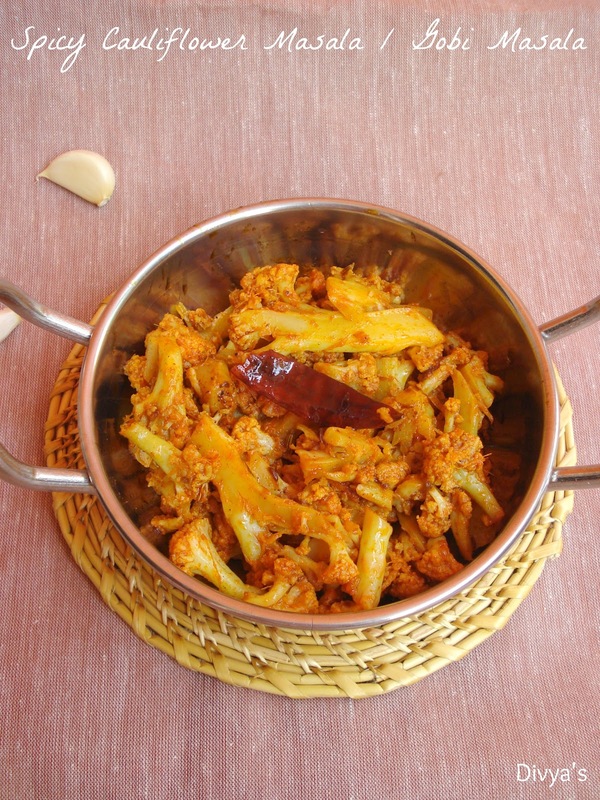 Cauliflower tastes good when cooked in the right way and has been every one's favorite vegetable. Its healthy and packed with various Minerals, Dietary fiber, Proteins and Vitamins, yet low in Carbohydrates and Fat. So obviously we are going to make a hot spicy and healthy recipe. Lets see what required and how to prepare Spicy Cauliflower Masala / Gobi Masala. 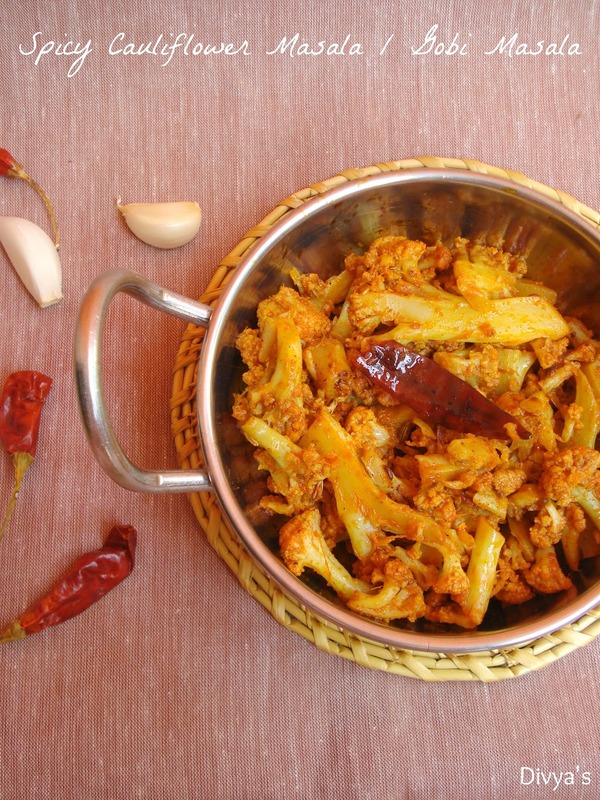 Chop cauliflower into florets and wash them well in water. In a pot/sauce pan add these cauliflower florets, water, a spoon of salt and place on flame. Boil for 2-3 minutes and remove from flame and set aside for few minutes. (This step is to remove the worms that may be present in cauliflower) Then, strain water and try to remove all excess water from the florets. Make ginger-garlic paste with the given measure of ginger and garlic. Now heat a wok/pan add oil, then add cumin seeds, fennel seeds, dry red chillies and saute just for a few seconds. Then add ginger-garlic paste and saute (it will splutter so be very careful) until the raw smell leaves. Now add florets and stir well. Then add red chilli powder, turmeric powder, salt and stir well. Close the wok/pan with a lid and cook on low flame for 3 minutes, stir occasionally so that they do not stick to the bottom of the pan. Take off the lid, add sugar and stir well. Stir well frequently until the florets seems cooked. Remove from flame add a spoon of lemon juice, and serve. TIP 1: This is a dry version, but if you need some masala add coconut milk and cook until the masala thickens. TIP 2: Adding sugar enhances the flavor of masala, but don't overdo it. TIP 3: Chop cauliflower either into florets or smaller cubes according to your wish. 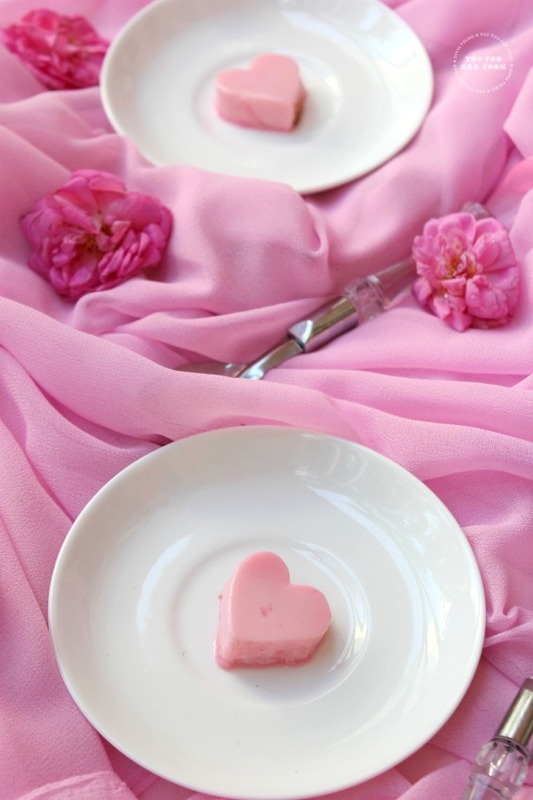 Chopping into smaller pieces gives a better texture than florets. TIP 4: You can also use crushed or chopped ginger and garlic instead of ginger-garlic paste. TIP 5: Do not add water but if you want sprinkle some. 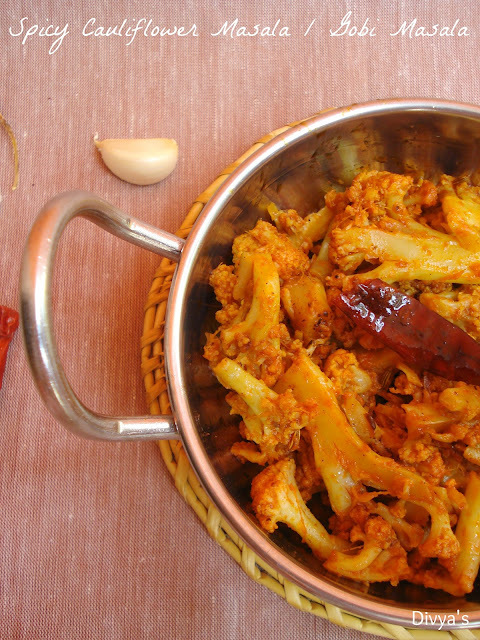 Spicy and dry Cauliflower Masala / Gobi Masala is now ready!! 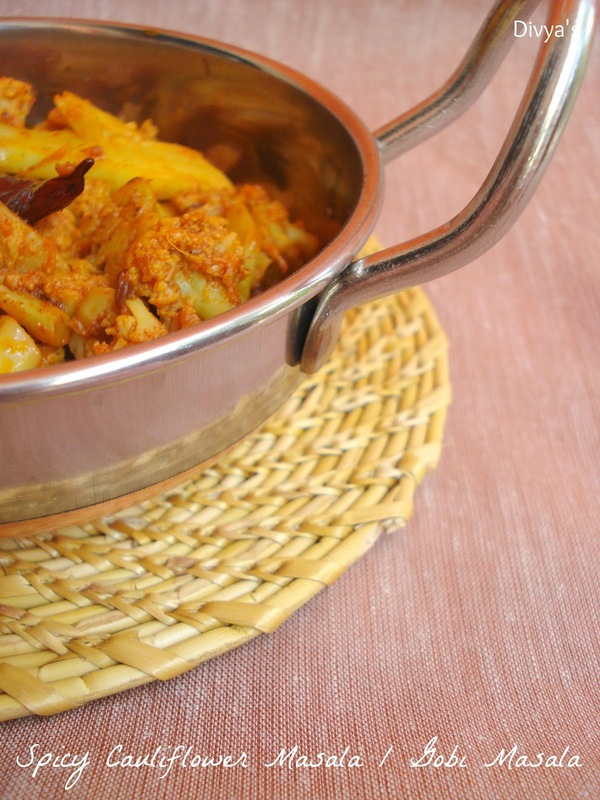 Serve with Sambar rice, Curd rice, Rasam rice, or Chapatis and Rotis..
Love the spicy preparation,like the fennel addition! Looks very delectable and inviting. Very nice curry dear. Yummy! 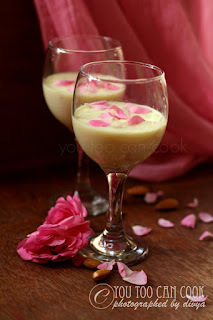 My hubby's fav, delicious, beautiful clicks!! really very interesting.. looks very tempting and spicy..
Cauliflower masala looks AAAwesome !!! wow... real flavorful! 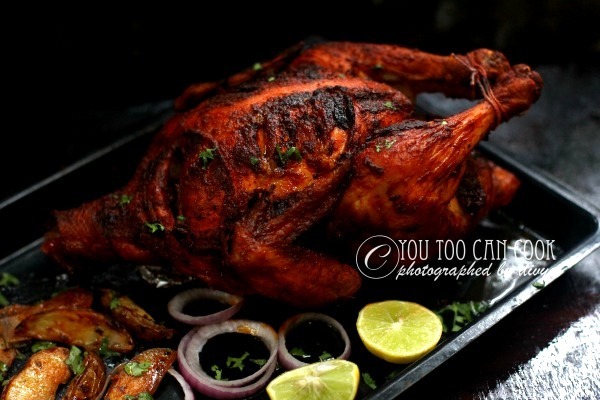 the no onion/tomato caught my attention :) wil def try this! 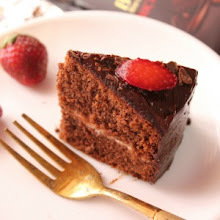 wonderful pics Divya and a tempting recipe as always. Feels so nice to be back. 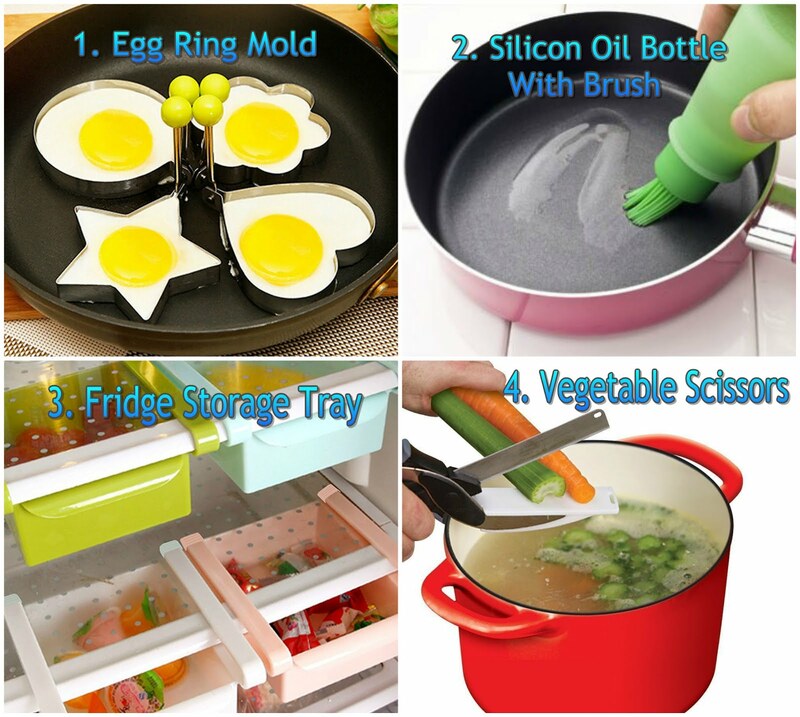 Some things at home needed my immediate and complete attention. 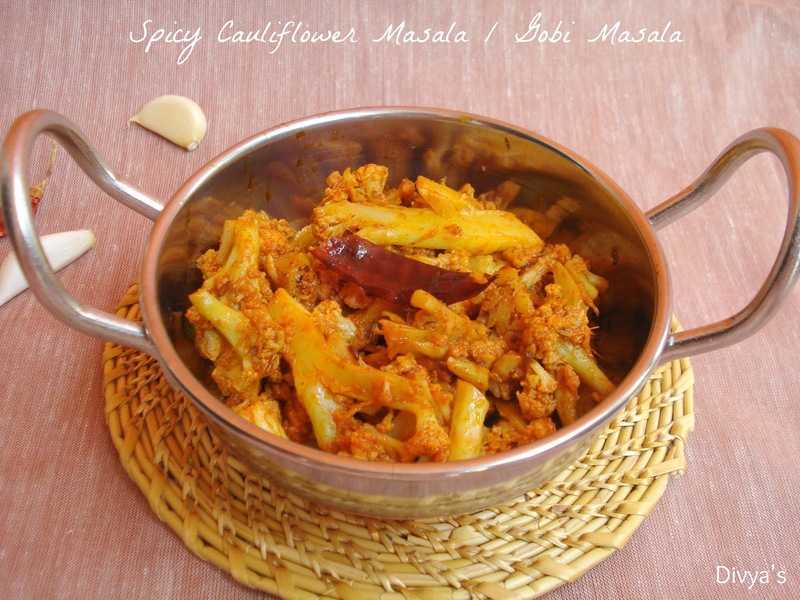 Cauliflower masala looks delicious... yummy.. 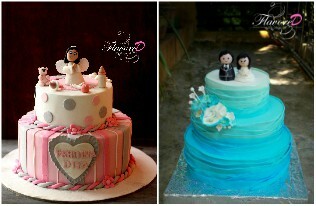 Very good clicks Divya. using fennel to this new to me. gives a good flavour. 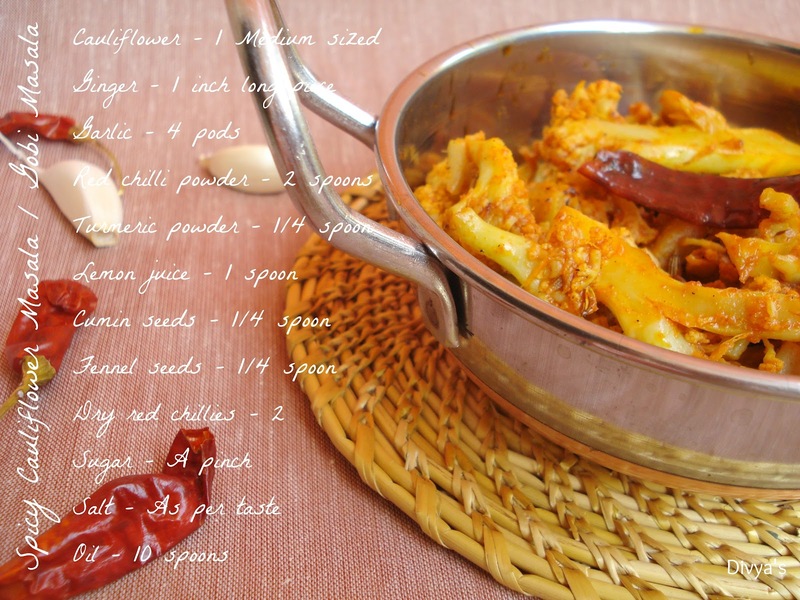 Perfect with Sambhar rice...Never tried this way...Cauliflower is one of my all time fav veggie...Love it in any form...Will try this way..Sounds very very tasty..